Samsung’s one of the highest selling tablet, Galaxy Tab 3 has finally received Cyanogenmod 12.1 Android Lollipop 5.1.1 update. Although this is an Unofficial update coming from XDA developer, Dark Frenzy. As Samsung won’t be releasing any update for Galaxy Tab 3, this is the best way to taste Android Lollipop 5.1.1 in your Samsung Galaxy Tab 3. However, if you are not much into Custom ROMs and all, you don’t need to worry as we have tried to explain the entire process in a very simple way such that even a non-technical guy can flash Cyanogenmod 12.1 ROM in Galaxy Tab 3 7.0. This ROM is Resurrection Remix which uses Cyanogenmod sources. All the flaws of Cyanogenmod are fixed in Resurrection Remix ROM. You can customize everything is Resurrection Remix as it has options to change everything in single click. Each and everything can be customized separately. Fix: 2. enable “Use AwesomePlayer (deprecated)” option from the developer setting. CyanogenMod is an alternative operating system intended to replace the one pre-installed on your smart phones and tablets. If you’ve got an older device that isn’t getting updates anymore, or if your device seems unusually slow, or maybe you’re sick of spyware, adware, and other unwanted garbage on your phone that you can’t remove… Maybe your device is missing features or has been otherwise artificially limited in functionality. Perhaps you just could use a boost in performance. Or maybe you’d like to be more confident that your operating system has included some of the latest bug fixes. If so, CyanogenMod might be for you. You can also check ways to make Android phone faster to speed up your phone without rooting it. Note: Devs-Lab won’t be responsible for anything that happens to your phone during this Process. If you don’t know about Custom ROMs & Rooting, Check What is Rooting & Custom ROMs to learn about it. We will surely help you under such situations but please follow each steps as mentioned. 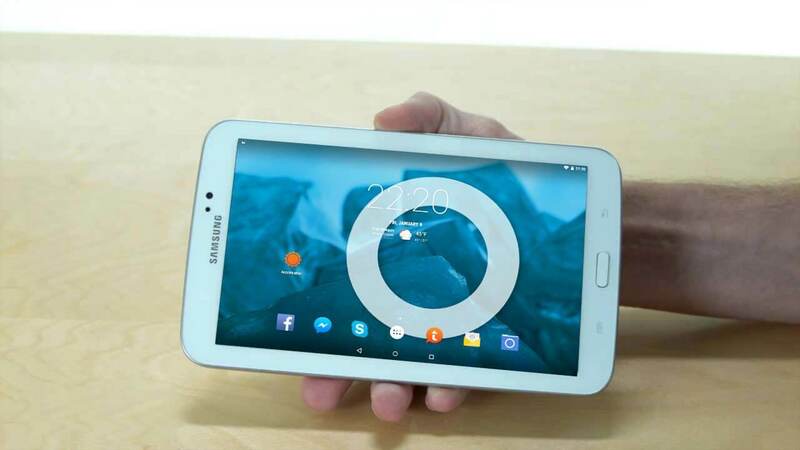 Root & Install Latest 2.8.7 TWRP Recovery in Samsung Galaxy Tab 3 7.0. This ROM is only for Galaxy Tab 3 7.0.. Please don’t try this on any other smartphones. Step 3. Press and hold the Volume Up + Home + Power buttons together till the screen turns up you see the Samsung logo, and then release the Power button but keep the Volume and Home buttons pressed until you see the TWRP menu. Step 4. Do not forget to perform a nandroid backup. 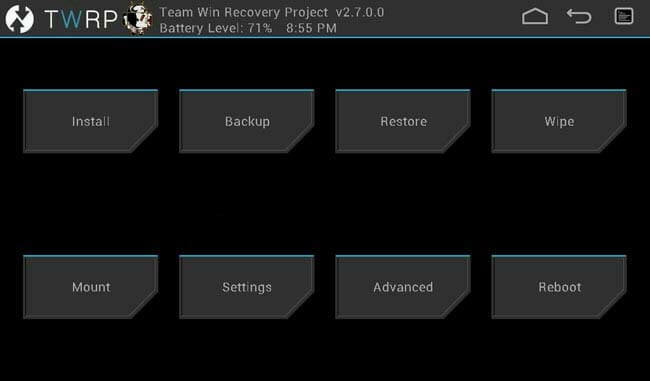 Goto backup option in TWRP and select all the partitions including System, Data, Boot, Recovery, EFS and swipe right to backup. Step 9. Locate the CM 12.1 downloaded zip file & tap on it. Now swipe to Install the ROM. Step 10. From recovery select “reboot” and enjoy. 1. What about Google Apps? The ROM already includes all the latest GApps. Don’t flash Gapps from any other zip & it may lead to random FCs. 2. How to Install XPOSED? Xposed Framework is already included in the ROM (Active) so you don’t need to flash any Xposed Framework zip. Just install Xposed Installer APK normally. After Installing the ROM, you can checkout our huge list of best CM 12.1 Themes to save your time searching for the best CM 12.1 Theme. Thanks for XDA Senior Developer, DarkFrenzy for such an awesome gift for Galaxy Tab 3 users.